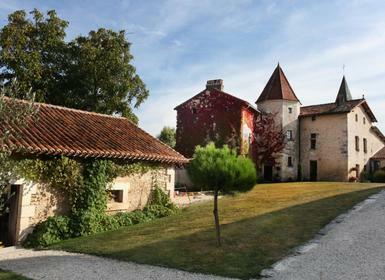 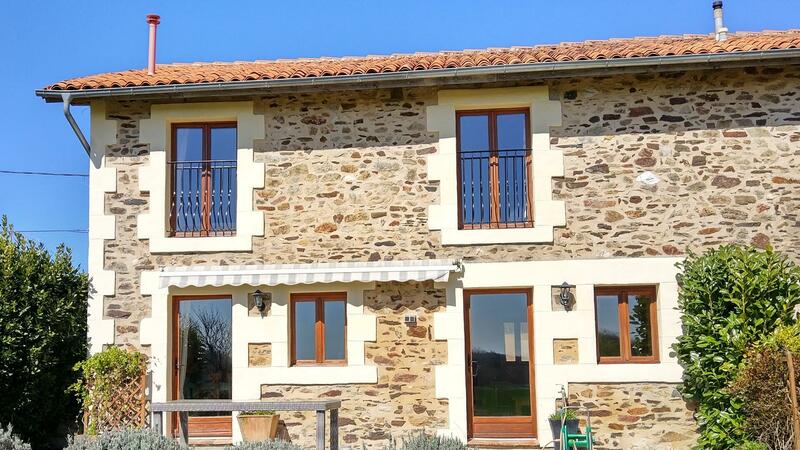 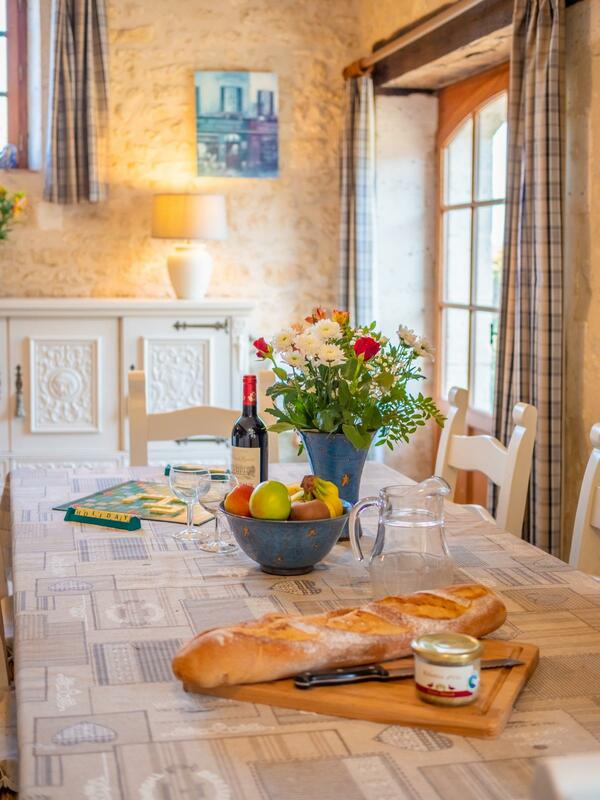 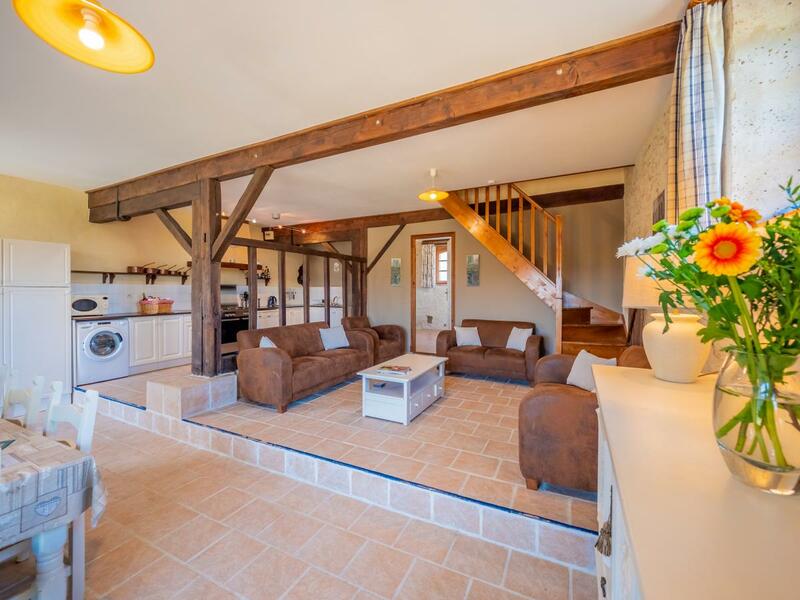 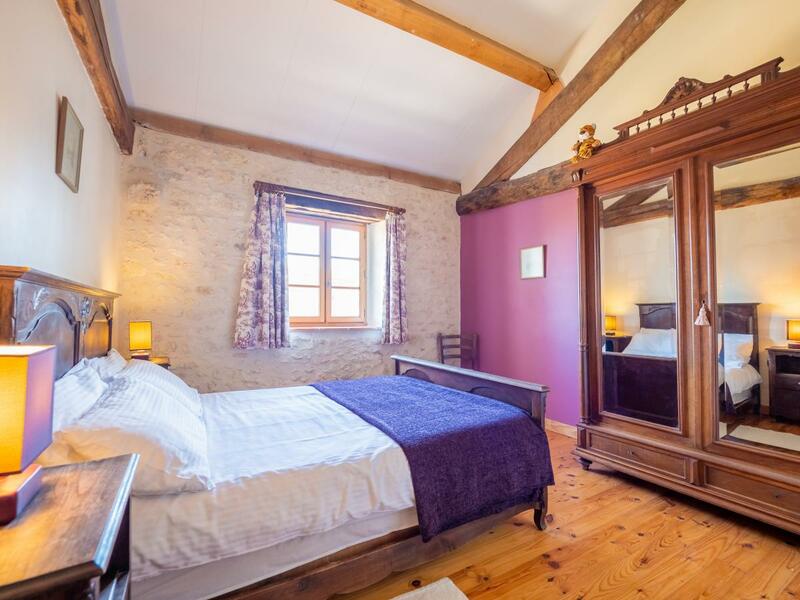 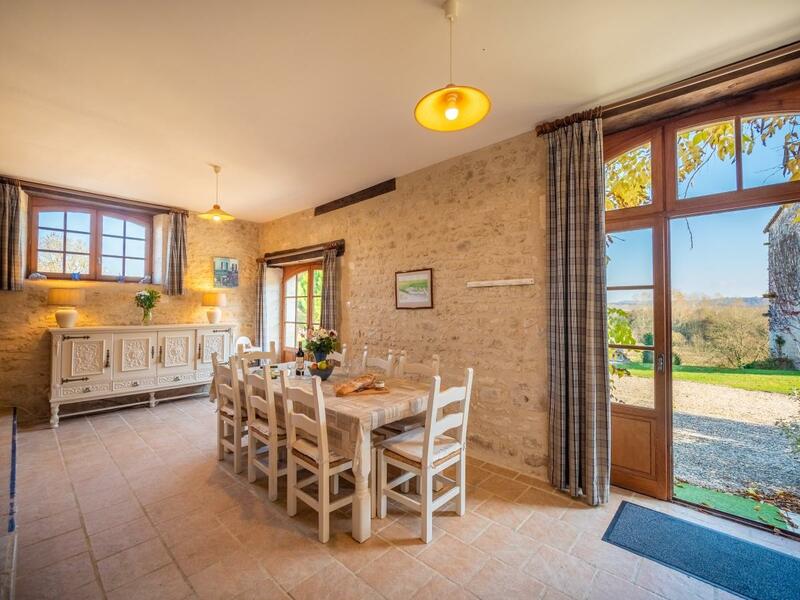 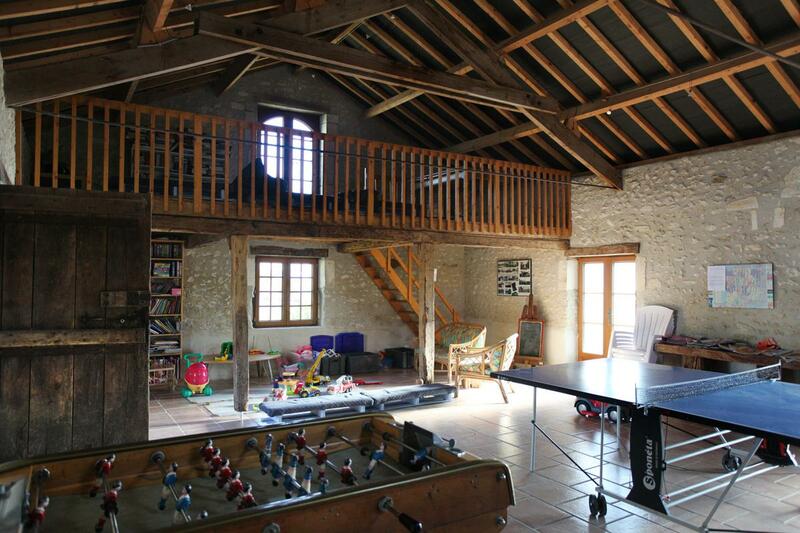 This lovely cottage is the largest of six situated in the child-friendly Chateau de Gurat in the Charente region South West France. 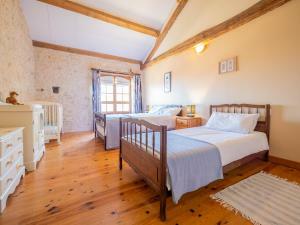 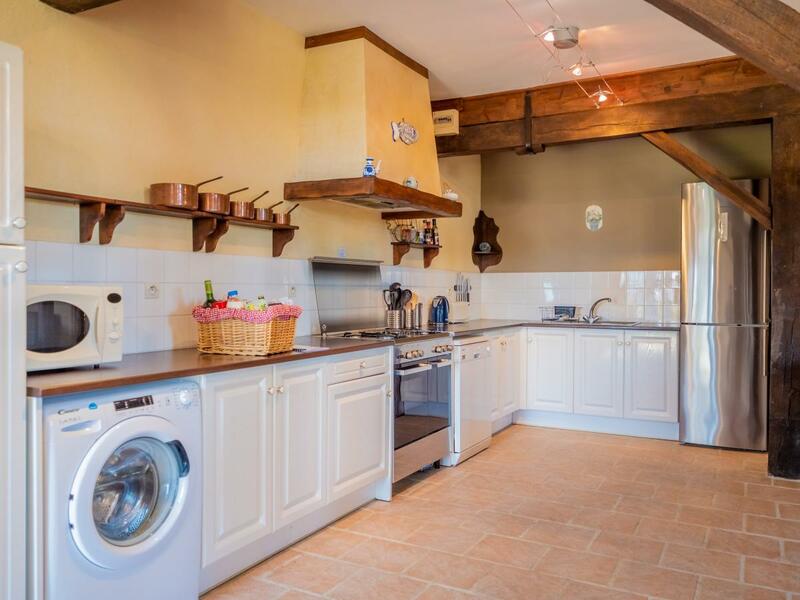 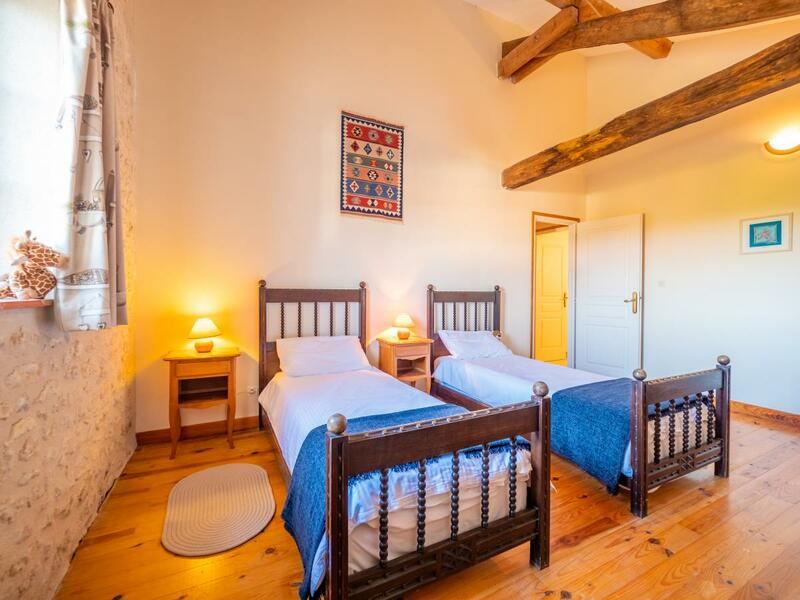 It offers accommodation for a large family, two families sharing or grandparents as it has two en-suites and a family bathroom. 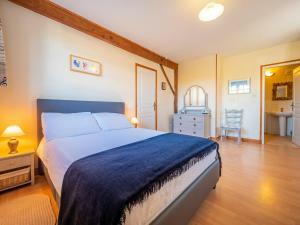 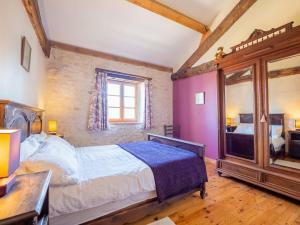 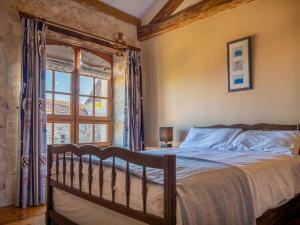 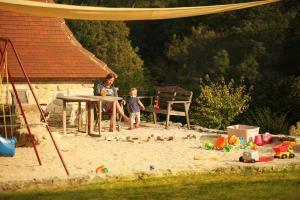 Every cottage has its own private terrace and full use of the facilities within the 14 acres of gardens. 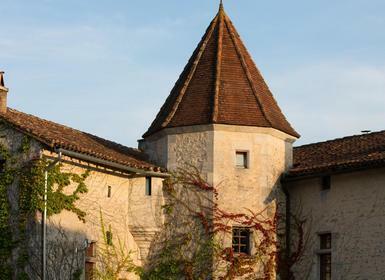 During the summer holidays you will generally find family groups staying here with children of all ages, outside of the school holiday periods the chateau is exclusively for families with pre-schoolers. 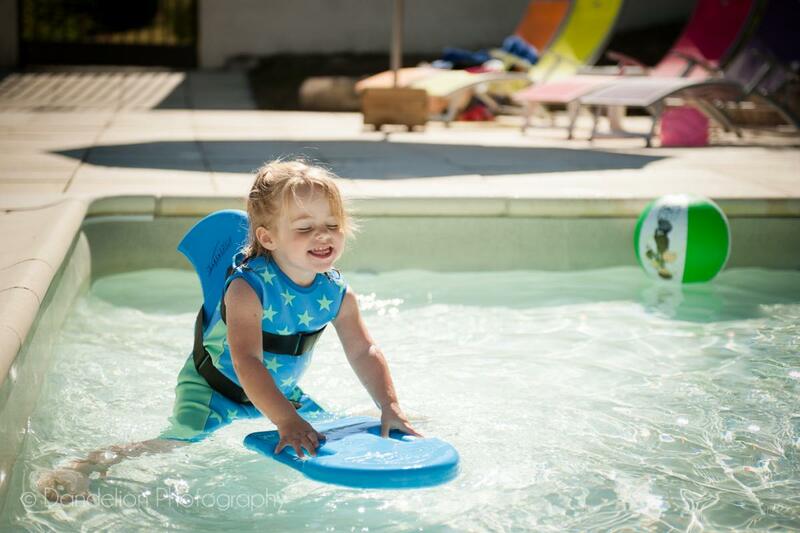 Within the grounds you will find two fully enclosed heated swimming pools, one 12 by 6 metres and the second a smaller toddler pool measuring 4 by 3 metres. 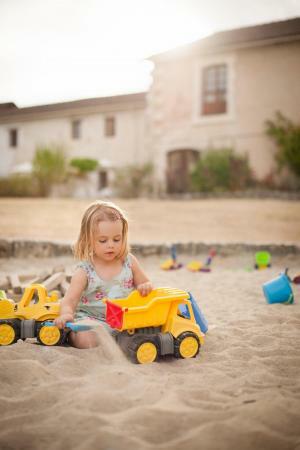 There is a huge sandpit close to the cottages, lots of outdoor games and toys including a giant Jenga and football pitch plus a great play barn well stocked with toys and games for all ages and DVD’s and books too. 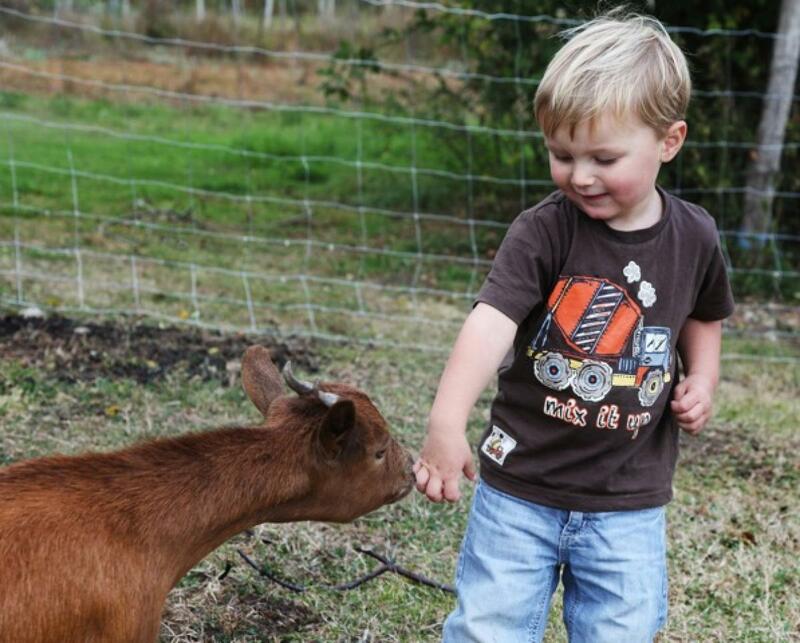 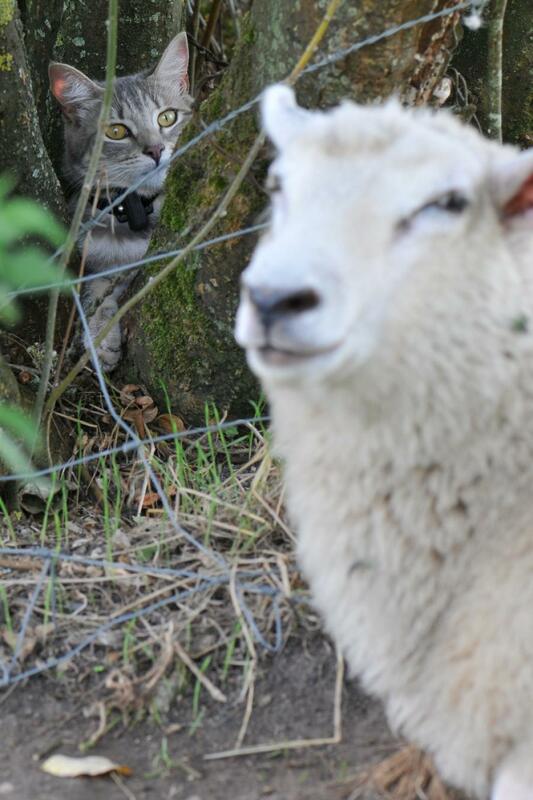 For animal lovers there are plenty of pets to help feed and cuddle too. 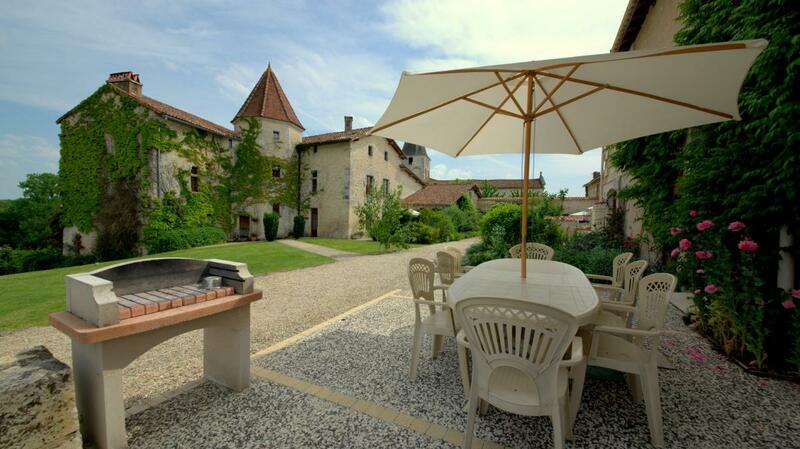 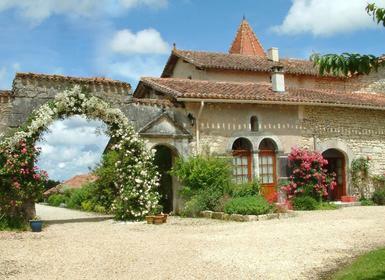 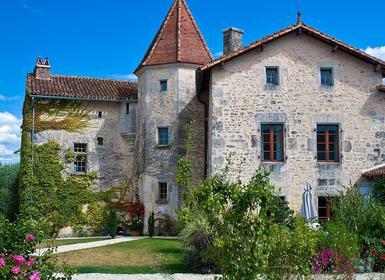 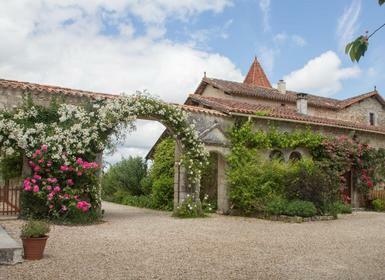 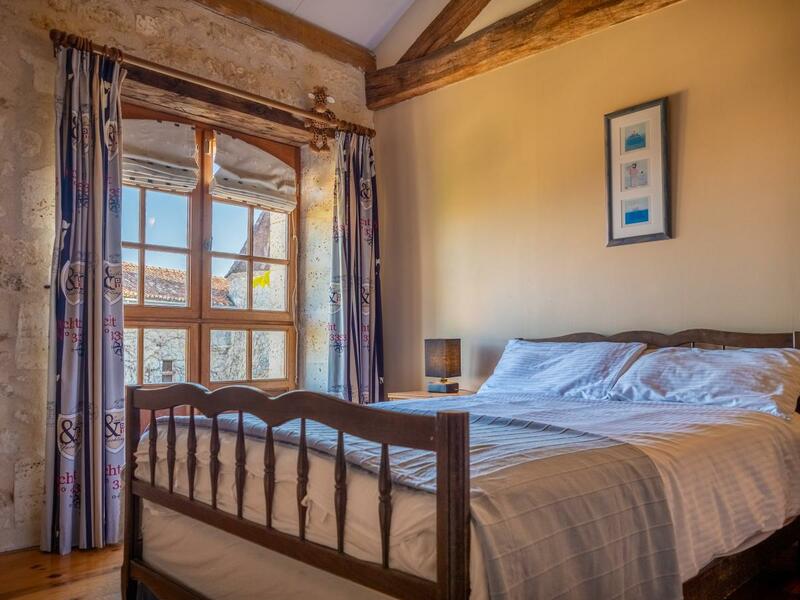 This wonderful chateau is situated on the edge of a little village with 2 bars a post office and petrol station and its location is perfect for exploring the Charente and Dordogne regions with their wonderful small towns and villages, river beaches and more. 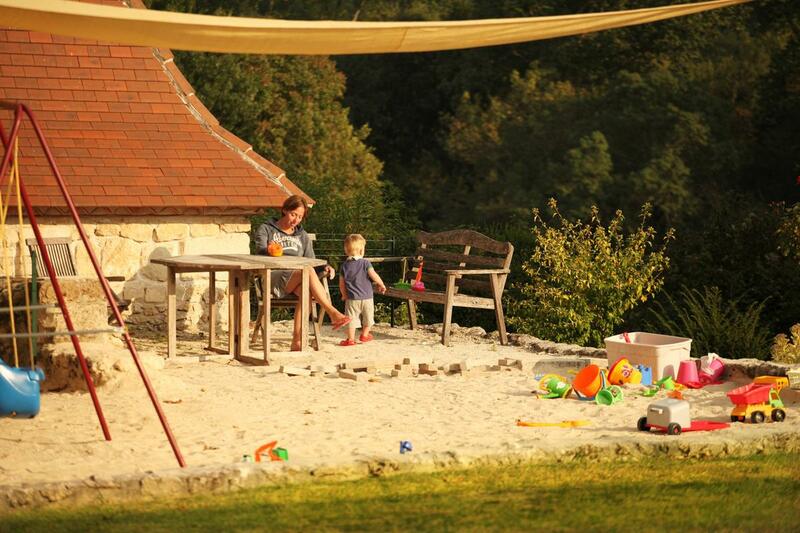 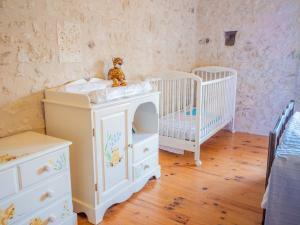 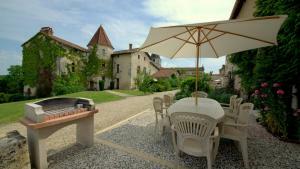 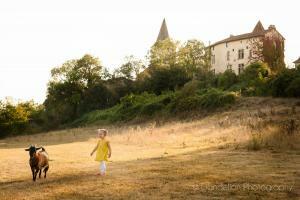 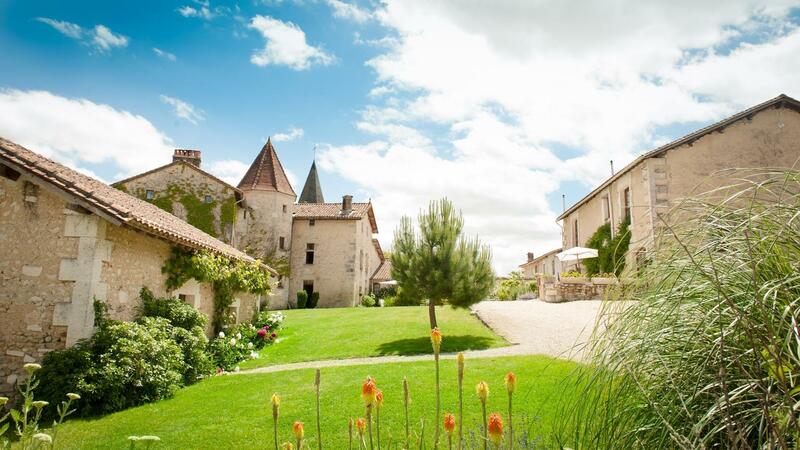 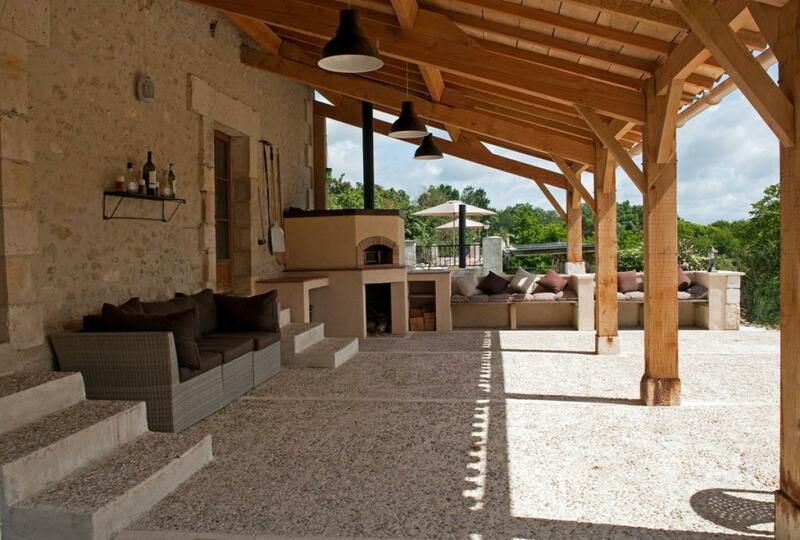 Alternatively laze your days away within the Chateau’s grounds while the little ones mingle and play. 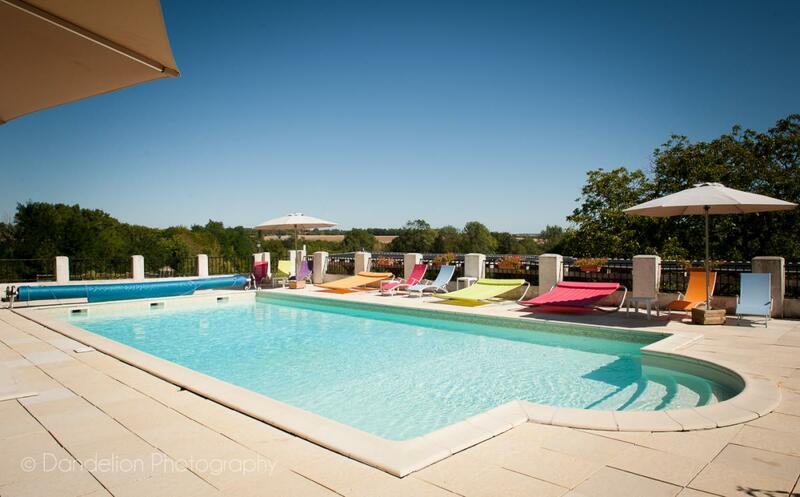 Private patio with table, chairs, parasol & barbecue, stunning panoramic views.